To serve you better with even more space, we are moving to a new facility! Para-Coat Technologies, Inc. was established in 2010. We are an ISO 9001:2008 and ITAR certified manufacturer service provider specializing in the application of Parylene, Acrylic, Polyurethane, Silicone, and Epoxy conformal coatings. PCT conformal coatings find wide-ranging application in medical, electronic, automotive, military & aerospace industries. We also offer Parylene equipment sales and consulting. We are committed to providing consistent, quality service at a competitive price to ensure that we meet and/or exceed our customers’ expectations. On May 1, 2017, Para-Coat Technologies, Inc. moved to a 30,000 square foot ESD protected facility located in downtown Johnstown, Pennsylvania. Our responsible personnel adhere to ESD precautions at all times to be performed in accordance with IPC-J-STD-001. All assemblies are properly handled, thoroughly inspected and tracked through a fully documented production process. A 100% visual inspection is performed and coating thickness is measured to ensure and maintain the highest quality possible. Our experienced staff and proven process can accommodate all types of orders from full production to small engineering runs. We offer a fast 5 business day turnaround time for most orders (standard turn time for most businesses is 10 days). For those time-sensitive orders, we offer an expedited service in as little as 2-3 days depending upon the complexity and quantity. 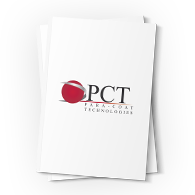 PCT is committed to continuously improve and grow while making the necessary investments to make sure we meet customers’ conformal coating demands and requirements. We take pride in being a seamless extension to your manufacturing process. We are the Conformal Coating Specialists!